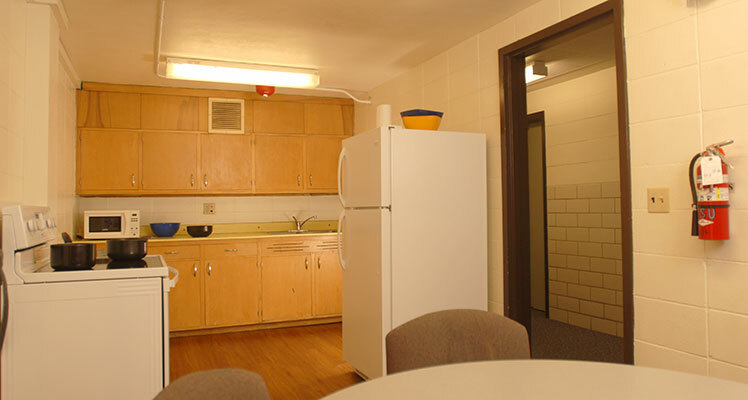 The Quad Complex is comprised of 3 separate residence halls including Morey-Shepard, Conway and Richards. 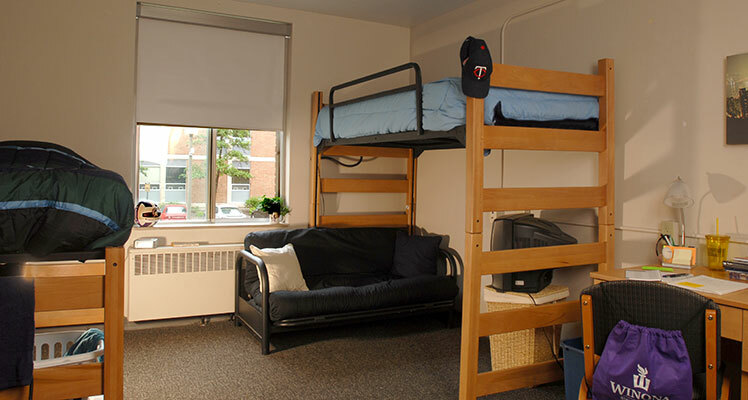 Over 500 students, upper-class and first-year, reside within the Quad. 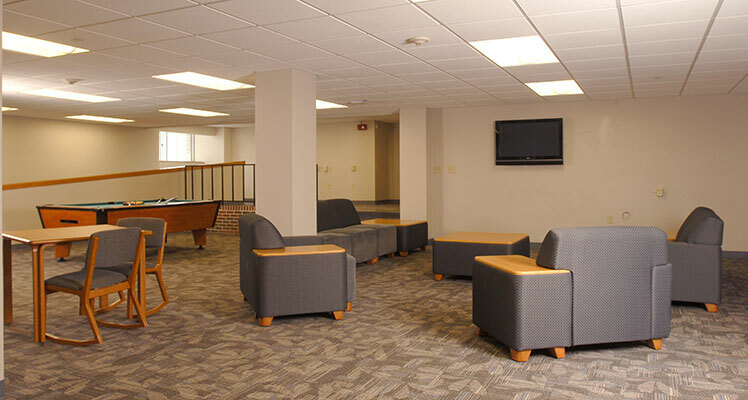 Students within the Quad share a front desk, located in Morey-Shepard, as well as common areas and lounges. The Quad also has a courtyard located in the center of the complex with its own sand volleyball court and green space for outdoor games and activities. 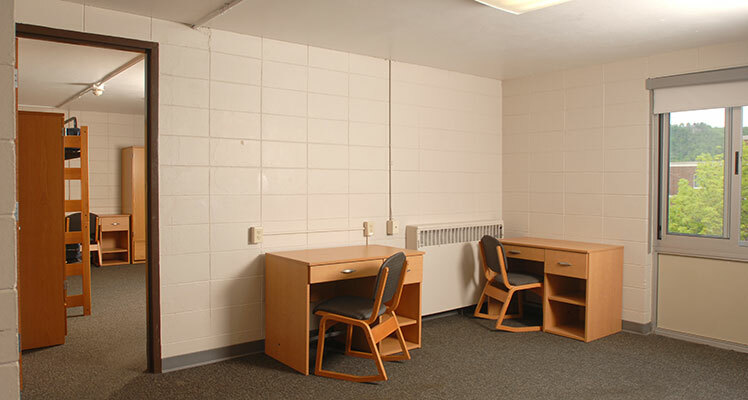 Both single and double rooms are available in Morey-Shepard. 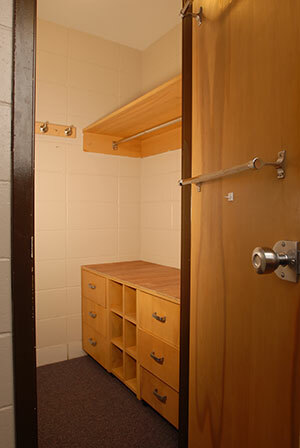 There are also several 1- and 2-bedroom suite-style units that can accommodate up to four students. 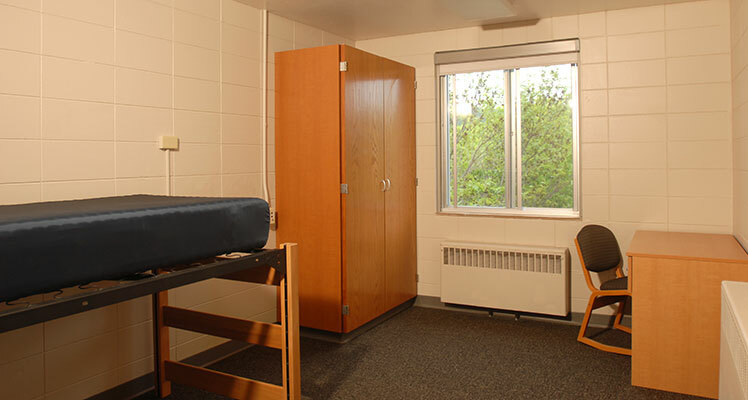 Each room is furnished with a XL twin bed, mattress, dresser/wardrobe, desk and desk chair for each student. There is also a trash, recycling bin and window coverings. 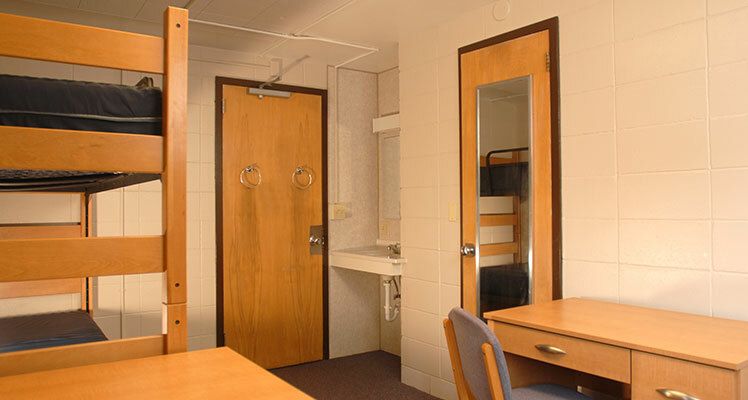 The majority of the rooms in Richards and Conway are double rooms. Conway is designated for women. 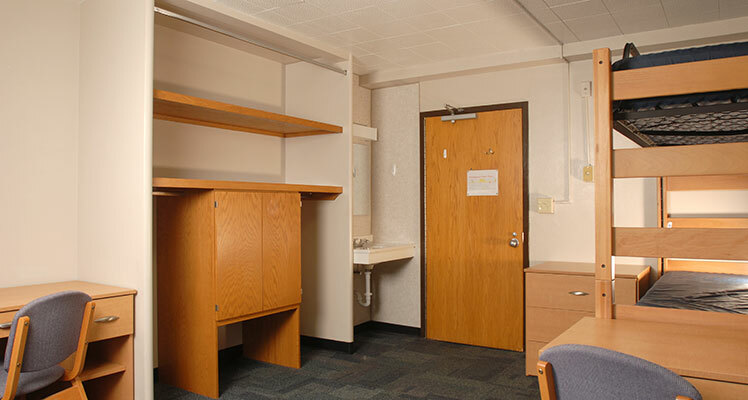 In Richards Hall, men are housed on floors 1 and 2, while women are on floors 3 and 4. The Quad Front Desk is located in the Morey-Shepard section of the complex. 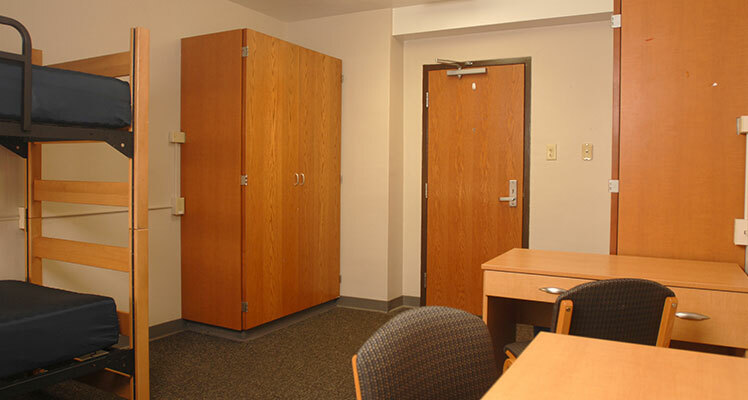 The front desk is staffed with trained students who live in the halls. Students can check out movies, games, kitchen equipment, and much more! The mailboxes for the complex are also located near the front desk. 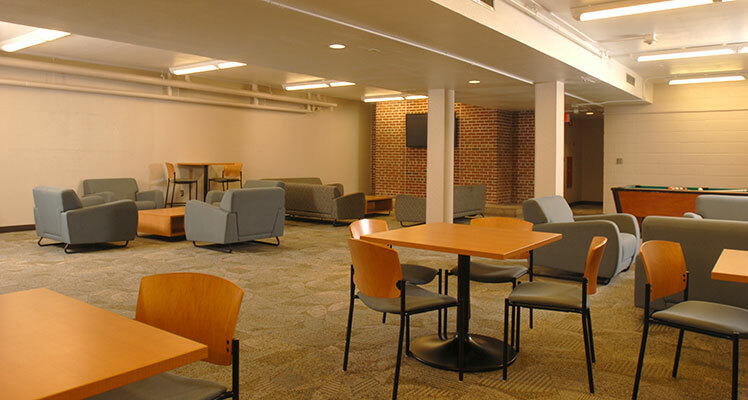 In addition to the pool tables located in the 1st Shepard Lounge and Richards basement, students living in the Quad also have their own outdoor courtyard that is located in the center of the complex. This courtyard is shared with students living in Conway, Morey-Shepard and Richards Hall and has a sand volleyball court and benches. 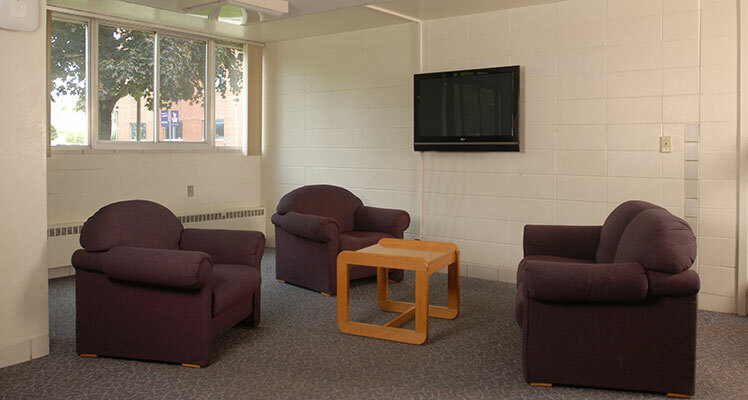 Students can also rent outdoor games from the Quad Front Desk. 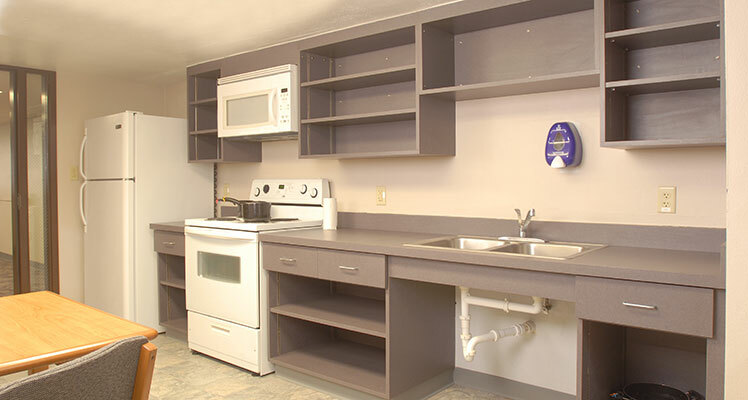 The Morey-Shepard kitchen, located on the 1st floor, includes a stove, fridge, microwave, and eating area. The Conway & Richards kitchens are on 2nd – 4th floors. They include stoves, refrigerators, microwaves, and tables. 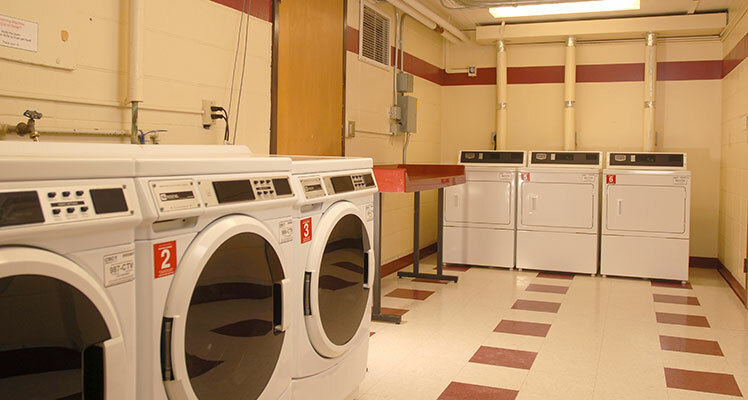 The Morey-Shepard & Conway laundry rooms are both located on the 1st floor. 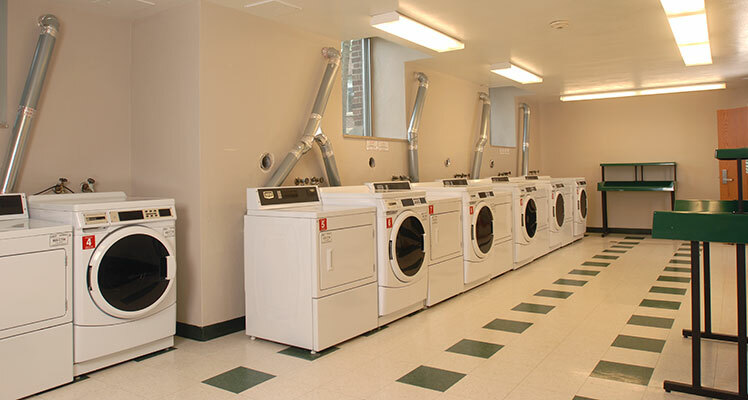 Laundry is included in the room rates, so there is no need to pay for each use.